Though pundits and analysts have called for the death of the PC market for years, it continues to drive forward. That doesn’t mean this is a market without change. The PC today is shifting more towards premium devices and products and away from the budget models that led to the growth of computers in the 2000s. Though all major PC manufacturers are attempting to take advantage of that premium trend, HP has been the front-runner for the last generation of systems, capitalizing to gain market share and take the top position, replacing Lenovo as the worldwide unit shipments leader for the first time in more than four years. Vendors like Dell, Lenovo, and even Microsoft with the Surface lineup have spiked interest in the premium PC fields of gaming and convertibles/2-in-1s (laptops that change between tablet and traditional clamshell modes). 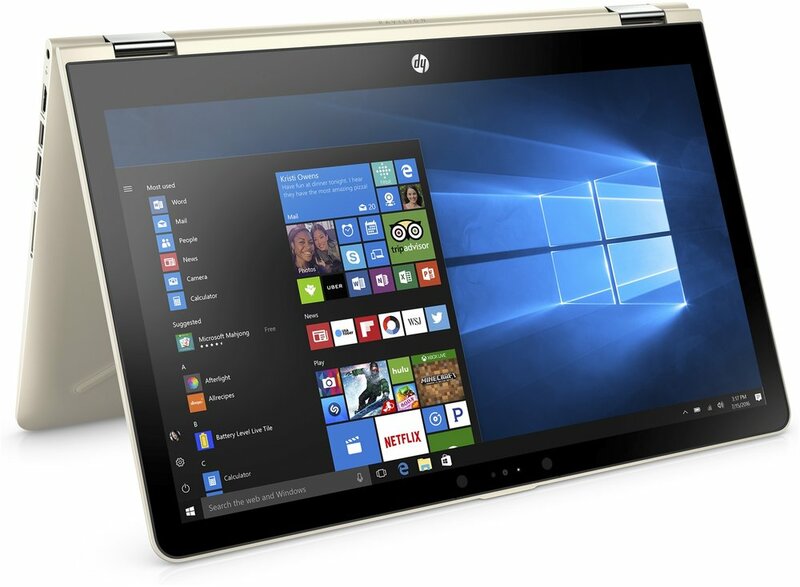 But only HP has been evolving its lineup in the last 12-18 months to address the changing needs of the high-end consumer that wants much more than simply a portable PC experience. This has given HP a boost in brand recognition and mind share, leading to growth well beyond that of the PC space and other PC providers. This past summer, HP first leapt into position of #1 PC provider in terms of unit shipments, passing Lenovo, a company that had held the position for four years. Q3 market share reports from Gartner show this advantage for HP expanding further with 4.4% year-over-year growth. For comparison Lenovo shrunk -1.5% YoY, Dell -0.4% and Apple -5.6%. Despite a -3.6% YoY drop in total PC shipments, HP continues to grow. HP is riding its product development into first place in the PC space and it appears to be staying there. The question is can the likes of Dell, Lenovo, and even Microsoft do enough to catch up to what HP has created? As we approach the key holiday selling period, the market status has the ability to shift, but without new designs and philosophy, it will be an uphill battle. Attracting a younger, more millennial-focused audience requires adaptation and changing mindsets. It’s not enough to make machines that perform well; you need to constantly show innovation to attract buyers that have variable upgrade cycles. New designs lead to reviews, news stories, and attention from media, etc. This translates directly into mind share for a customer that thrives on having the newest, latest, and best. HP has built a family of products that span price segments and performance capabilities to offer something for nearly every consumer. For the notebook space, its line of Spectre and Envy machines offer flagship levels of performance but innovate with features and design changes. The Omen desktop machines offer enthusiast PC gamers high-performance gaming without the need to build their own machine, hitting on the aesthetics and styling that attract that audience. Premium models offer high margins but with lower volume of unit sales. But HP understands that success in the premium space creates a “halo effect” around the rest of its lineup. HP machines that are reviewed well in the media and drive sales to influencers result in more sales of mid-range and budget offerings. The same is true for the “executive effect” in commercial spaces – if C-level employees get a flagship HP PC for their use, it is more likely that the rest of the company will be buying mid-range hardware from the same company. While HP has been actively updating its product line to cater to this premium audience, its competition has settled into existing designs without much innovation. Dell was once the king of the premium PC space with its XPS desktops and the XPS 13 laptop that stole the show at CES nearly three years ago. But the lineup the company offers today has changed very little. Lenovo took a similar path with its ThinkPad and Yoga brands. It basically created a 2-in-1 market with notebooks that had hinges that allowed 180 degree folding and even separated that segment into its own “Yoga” brand. The ThinkPad line had the opportunity to push outside the corporate space with flagship features and capabilities, but styling and design has not adapted to the changing demands of the consumer. Even the Microsoft Surface Pro is essentially unchanged from its early 2013 design.